LawBot, the legal chat bot providing criminal law guidance has now launched its second initiative, Divorce Bot. 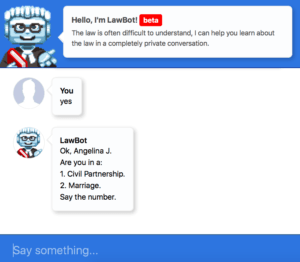 Using what appears to be the same word stemming chat bot system as before, LawBot’s new venture Divorce Bot asks the user questions via an internet-based interface to guide them through the early days of a divorce. LawBot was created by a team of Cambridge University law students, Ludwig Bull, Rebecca Agliolo, Nadia Abdul and Jozef Maruscak. The move into divorce and family law is their first venture outside of criminal law. The chat bot talks you through a variety of scenarios helping a person to clarify their exact legal position, as well as setting out definitions of legal terms used in divorce such as ‘irretrievable breakdown‘ and ‘decree nisi‘. 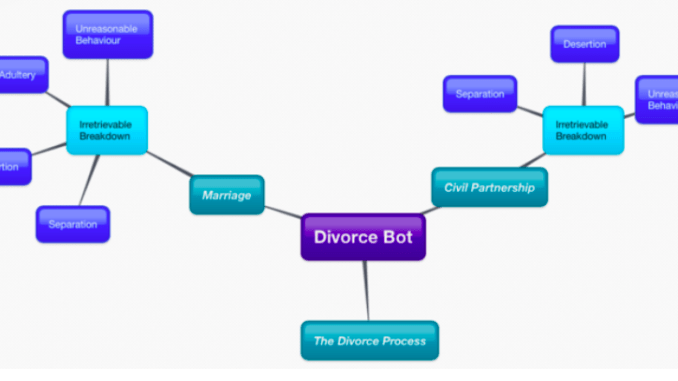 Divorce Bot then provides a comprehensive breakdown of the divorce process, so people know exactly what to expect even before they talk to a lawyer. It also gives a breakdown of the costs and forms needed (in the English legal system), so people don’t have to wade through the internet on their own. This allows a person who is facing a breakup to then approach a divorce lawyer in a much better informed state and to have a better understanding of what a divorce may entail. Several of these additional details come in the form of an emailed readout that is sent to you after you complete your discussion with Divorce Bot. It seems that you may have a legal fact upon which you can base the irretrievable breakdown of your marriage. You may therefore be able to petition for divorce. Here is an outline of the process you will need to take and some relevant links to further information – but you may wish to obtain legal advice. Divorce Bot is only just launching in Beta and therefore is still a work in progress. It’s also not a legal AI system, as such, i.e. it’s not using natural language processing that you might find in Kira or RAVN, for example. Nor at the moment is the system able to deal that proactively with a user going ‘off script’ when in dialogue with the bot. But, it is a solid start that shows what could be done in the future. It also shows that once you have developed the main backbone of a legal bot system, then there are likely a huge variety of potential uses. Ultimately this is another step forward in terms of access to justice for people who may feel intimidated by having to approach a lawyer first just to ask a simple question about their legal position. The system, as with the main criminal law bot, is also free and accessible to all via the web. This won’t be putting divorce lawyers out of a job any time soon, nor is that its purpose, but it may make their lives and their clients’ lives easier. After all, both the client and the legal adviser will have a smoother and less chaotic divorce process when all those involved are fully informed before battle begins. 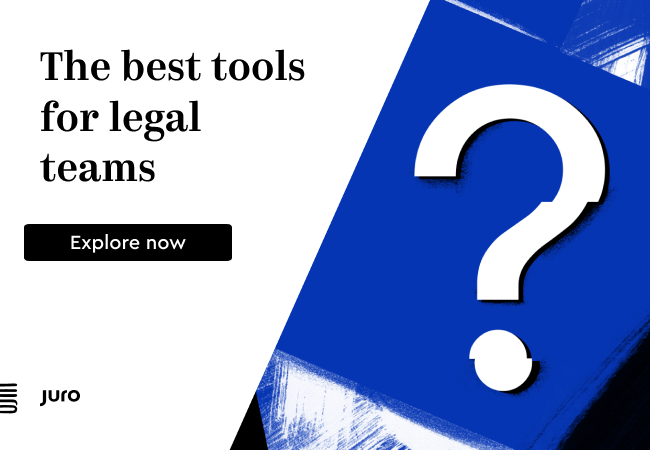 Where Next for Premonition, the AI-Driven Litigation Analysis Platform?